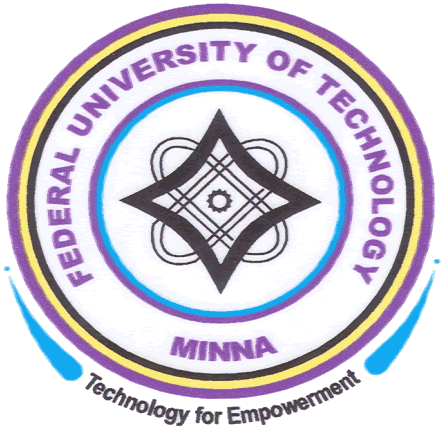 Federal University of Technology, Minna #FUTMINNA acceptance fee payment and clearance procedure for the 2018/2019 academic session newly admitted students. This is to inform all the candidates offered provisional admission into the Federal University of Technology, Minna (FUTMINNA) undergraduate programmes for the 2018/2019 academic session, that the management of the institution has released the admission acceptance fee payment and clearance procedure. FUTMINNA Acceptance Fee Payment Details. 1. Click on ‘2018/2019 Undergraduate Admission Status’ Link to Print/Reprint your admission status, so that you can retrieve your STUDENT ID. 3. Click on the Link ‘Request for new Password’ on the Login page. 6. A page is displayed, showing the email created for you by the school. iii. A page is displayed showing Student Resources. Scroll down and click on Student e-mail. iv. Enter your school email and your password. (Note: Your Password is your JAMB Registration Number). The system will prompt you to change your password. 9. Enter your Student Id and the code from the email as password. 11. A page will be displayed prompting you to set your password. (Note: When prompted enter the code from your email as old password then create your own password). 13. Your Portal page will be displayed showing your record. Click on the Acceptance Fee menu on the left pane. 14. Select payment type and click on submit button to complete your transaction. Click the button ‘Update Admission Data’ to continue, in case the system logs you out; re-login with your Student ID and Password and continue. Upload scanned documents of the following credentials (Guarantor/Referee, Birth Certificate or Declaration of Age, First Setting Result, Second Setting Result, Evidence of Name (in case of change of name), Signature, State of Origin and JAMB result slip with passport). Ensure that your scanned documents for upload are in jpeg or jpg format. Click on ‘Submit Academic Records’ button to submit your data. Wait until your status changes to Cleared or Rejected. If Cleared proceed to payment stage but if Rejected, read the reason(s) for rejection.